Ancestral Discoveries: National Volunteer Week: What Can You Do to Help? National Volunteer Week: What Can You Do to Help? National Volunteer Work is a week of observance in the United States and Canada designed to spotlight the contributions volunteers make and to thank them for their efforts. In 2017 it will run from April 23 through April 29. In my little corner of the family history blog world, I regularly post about ways in which people can volunteer their time, talents, and more to help with various genealogy and history projects. So in honor of next week's event, it seemed like a good time to help publicize opportunities to help out. A historian is researching the history of personal ads in the United States. She is looking for information about couples who met each other through a personal ad published in a newspaper any time between 1750 and 1950. If one of your ancestors or another family member met a husband or wife through a personal ad, or if you know of someone else who did, Francesca Beauman would love to hear the story. You can contact her by e-mail at francescabeauman@gmail.com. All information that is shared with her will be treated with the strictest confidence. 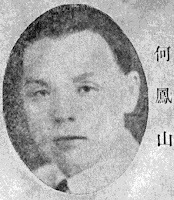 Researcher Mark Sy is working on a project about Dr. Ho Feng-Shan, a Chinese diplomat during World War II who issued thousands of exit visas to Austrian Jews fleeing the country after the Nazi invasion. Sy would like to communicate with survivors who received these visas, or their descendants, to learn about their plights and experiences during that time. 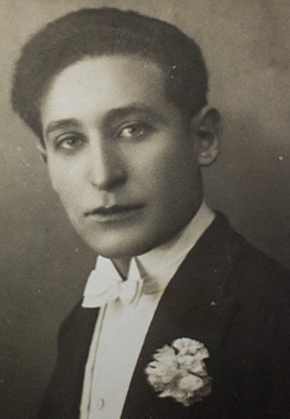 This could be anyone who was living in Vienna from 1938–1940 and received a visa. Many of the refugees exiled to Shanghai ended up settling in North America, as several documents of survivors obtained from Yad Vashem and the Vancouver Holocaust Education Center reference early U.S. postal codes and New York ZIP Codes. Interviews so far have been conducted with individuals based in New York, Chicago, Los Angeles, and Melbourne, but survivors and their descendants could be anywhere in the world. Please contact Mark at marksy85@gmail.com. How much do you know about Colorado history? Maybe you can help solve the mystery of the woman in the portrait. At the Colorado State Archives, while cleaning up after a leak in a storage area, several old portraits of former Colorado governors were found, along with one portrait of a woman. The problem is that no one has any idea who the woman is. The local NBC affiliate covered the story, and the reporter posted about it on his Facebook page, but so far no one has come up with the answer. Speaking of history, the Pioneer Village Museum in Beausejour, Manitoba is asking people to help identify early 20th-century photographs from the area, about 30 miles east of Winnipeg. The photographs are being scanned from negatives that were donated to the museum after the woman who had them passed away. So far the photos appear to range from about 1900 to the 1930's. One man actually recognized himself in a photo! 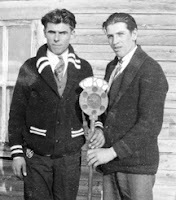 The museum is looking for identification of people or locations in the photographs, which are being posted to Facebook. Another repository seeking help in identifying people in photographs is the Oak Ridge Public Library in Oak Ridge, Tennessee. The photos were taken by resident Ruth Carey from the 1960's to April 1994 and were donated to the library, along with many undeveloped negatives, by Carey's daughter. Some of the prints and negatives have been digitized, but the majority have not and must be viewed in person at the library. Carey apparently was Jewish, and a good number of the photographs are of the Jewish community in Oak Ridge. About 30 some odd years ago, a man living in Hrodna, Belarus (formerly Grodno in Russia and Poland) discovered two albums with photographs and letters in the attic of the building in which he was living. Some of the photos have writing in Polish and Hebrew, and the names Konchuk/Kanchuck and Vazvutski appear. The items were likely left in the building, which seems to have been in the Jewish section of the city, before or during World War II. The man is now trying to find family members to return the items. There's a long article in Byelorusian about the story (here's the Google Translate version), but apparently without contact information. A woman who has posted about this on Facebook seems to be functioning as a contact person. Two more photos that are currently unidentified arrived at the Belleville (Illinois) Labor & Industry Museum with a donation of printing materials. Each of the photographs is of an individual (one man, one woman) laid out in a casket for viewing. The museum is asking people to look at the photos and call if they can provide any information. 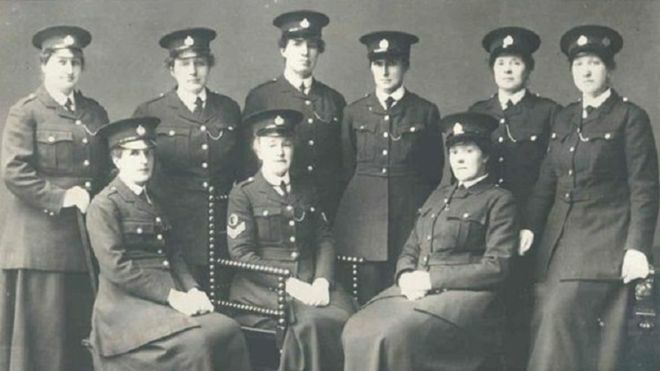 This year, the West Midlands Police (main office in Birmingham, England) celebrates the 100th anniversary of its first female officers, who joined the force in April 1917. Three female officers in an archive photograph are unidentified, and files on four of the early officers have not survived. The force is looking for help from the public in identifying the unknown faces in the photo and in gathering any information on these pioneering policewomen. Not all photographs are unidentified, which is a good thing. If you have any family connections to Truro, Nova Scotia, particularly from 1967 to the late 1980's, you might want to contact Carsand Photo Imaging. The company is owned by the son of the late Carson Yorke, who founded Carsand-Mosher Photographic. The elder Yorke kept all the negatives of portraits he took during the aforementioned years, and his son, Colin Yorke, is now trying to reunite images with families. Colin Yorke is apparently taking contacts primarily through his company's Facebook page, but you should be able to get in touch with him through the company's Web site if you don't use Facebook. The University of South Florida at St. Petersburg is looking for donations of back issues of The Weekly Challenger, the historic black newspaper of Pinellas County, from 1967 through the 1990's. Even clippings can be helpful. The newspapers will be digitized to create an archive. Contact information is in the article linked above, as is a link to a recording of a lecture about the Weekly Challenger digital initiative. When I teach about online newspapers, I discuss the problems that optical character recognition (OCR) software has with reading old newspapers due to ink bleed, typeface dropout, damaged pages, and other problems. Something I've never considered is whether the software has problems recognizing old fonts. That issue apparently did arise for Iowa State University when it digitized its yearbooks for 1894–1994 (except 1902). 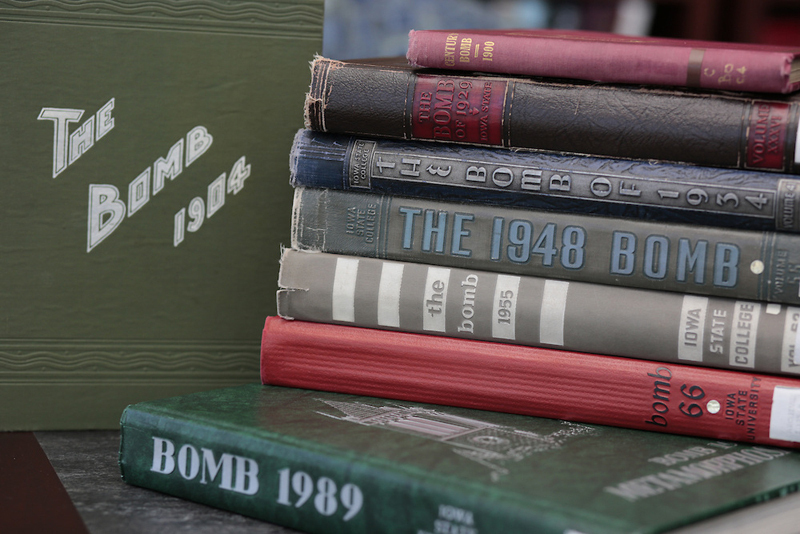 Because of that, and to have the content be more accessible (as in ADA) online, Iowa State is asking volunteers to help "Transcribe the 'Bomb' " (the name of the yearbook is The Bomb). An article has information about the digitization project and a link to the volunteer site. Dr. Ciaran Reilly is coordinating the Irish Famine Eviction Project to document evidence of evictions between 1845 and 1851. His vision is to create a dedicated online resource listing GPS coordinates for famine eviction sites and to create a better understanding of the people involved in the evictions. It is hoped that the project will shed new light on numbers, locations, and background stories of those involved. Sponsored by Irish Newspaper Archives, the project will use primary and secondary source information to research, gather, and catalog evictions. One of the goals is to collaborate with individuals, societies, and libraries across the world. The project is looking for any information about evictions, locations, and local folklore. To see the 500 sites that have been mapped so far, visit https://irishfamineeviction.com/eviction-map/. To submit your own research for inclusion in the project, e-mail your findings to famineeviction@gmail.com or tweet @famineeviction. Writer David Wolman wants to have a huge party with descendants of the approximately 600 passengers (most of whom were Irish) rescued from the sinking ship Connaught in October 1860. Failing that, he would at least like to make contact with any of those descendants. Wolman recently published a story about the rescue of the Connaught's passengers and a modern-day treasure hunter who wanted to find the shipwreck, and issued an invitation to contact him via e-mail or Twitter. A list of the passengers is in a New York Times article available online. I don't usually post stories that have already appeared on Eastman's blog, because he has much, much wider readership than I do, but this one is important enough that I felt I should (because I know not everyone reads Eastman). Extreme Relic Hunters, a company that specializes in World War I and World War II relic retrieval, discovered a huge cache of WWII dog tags (more than 12,000!). The majority are from British servicemen, but there are some from other countries. Of the British, almost all are from Royal Armoured Corps, Royal Tank Regiment, or Reconnaissance, with no RAF or Navy personnel. The guys from the company want to reunite as many of these dog tags with family members as humanly possible (one was returned to the veteran himself). 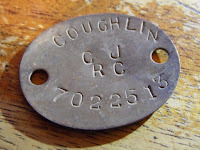 You can read about the discovery and the project to return the dog tags on the Forces War Records and the Extreme Relic Hunters sites. Oh, and Extreme Relic Hunters is looking for volunteers to help them with the return project; they're just a little overwhelmed. If you have not read about it yet, well known genealogy speaker Thomas MacEntee has posted a survey to learn what family historians and genealogists think of the industry today and what they would like it to be. Read about it here and then click the link to take the survey. He promises that your e-mail address will not be saved and you will not be contacted.